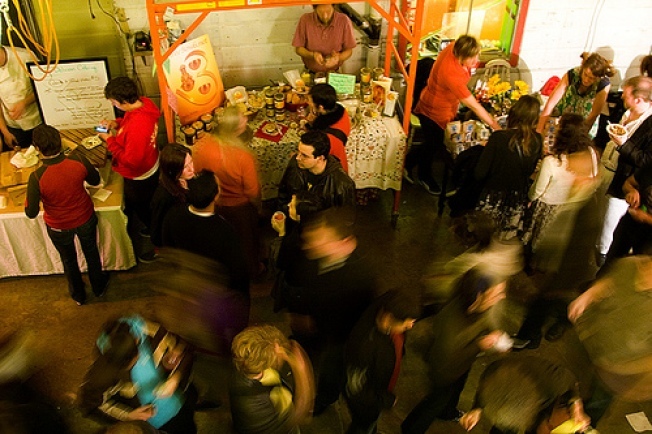 San Francisco's underground market is no more -- at least for now. City health inspectors shut down the SF Underground Market run by ForageSF, a wild foods community, over the weekend for not having the proper permits to operate. The popular underground dining experience was issued a cease-and-desist order by two Department of Public Health officials Saturday. ForageSF founder Iso Rabins told SF Weekly that he is scheduled to meet with the Department of Public Health on Thursday to discuss how to operate legally. But the weekend closure calls into question the future of the events. Wednesday on his Twitter feed, Rabins said the market is not shutdown for good but he does have to figure out "the best way to move forward." In the past, the underground market was able to get around regulations that govern food vendors by labeling itself as a private, "members only" event. But that didn't apply over the weekend and most likely won't in the future. Rabins told SF Weekly that he thinks pressure from the state level influenced the department to issue the closure paperwork.